From Bodø in Northern Norway you find caves for both beginners and if you are looking for a more thrilling experience. 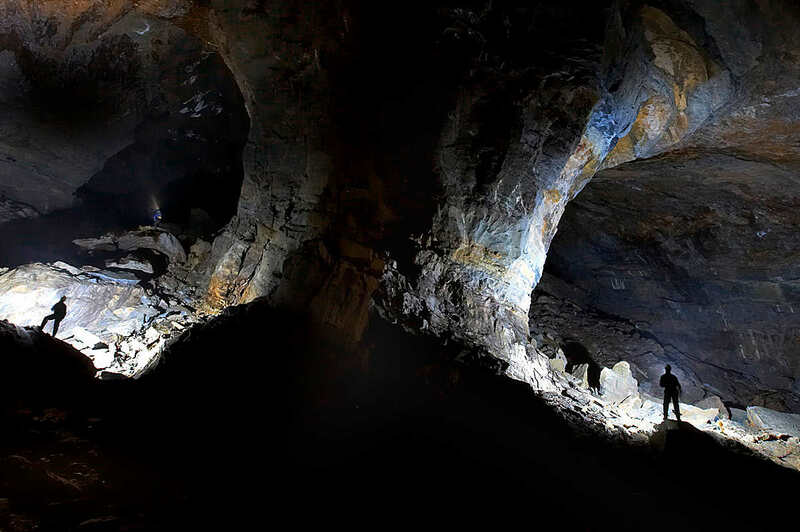 Nordland is the area in Scandinavia with the best possibilities to do caving. Day trips from Bodø on request for small groups. Best season for caving? Winter! Caves are dark, mysterious and challenging. Most of the caves in Norway are “wild” caves and have not been developed in any way. They are the same temperature (above freezing) all year round, and feel cool in the summer and warm in the Winter. Caving adventure in Northern Norway. Photo: Johnny Haglund. Adventure. 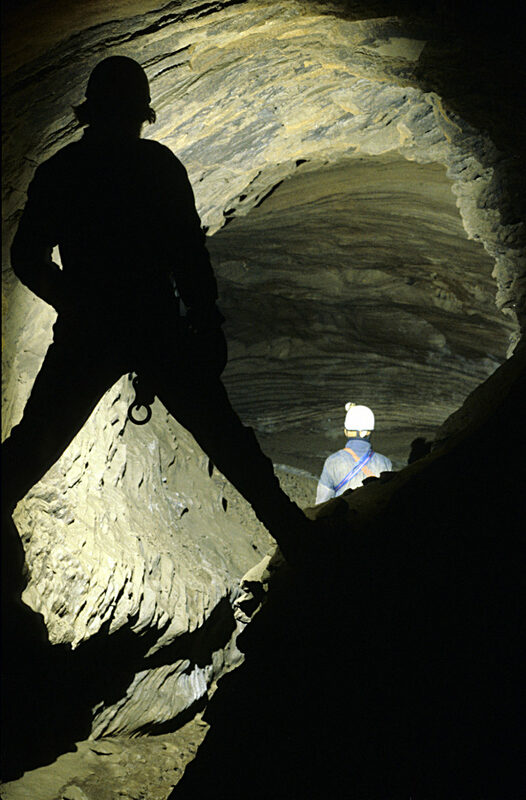 If you want to join a guided adventure underground trip, we offer caving adventure including both walking, crawling and abseiling. All year. 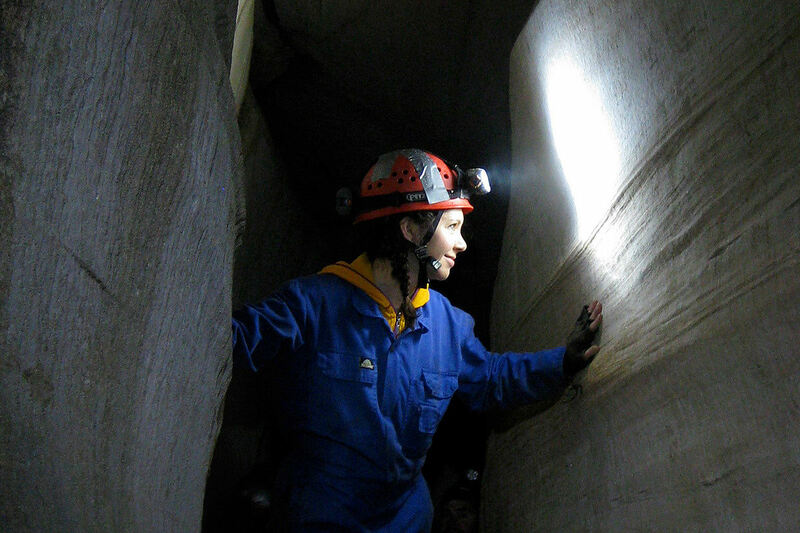 Caving is a year-round adventure for both novice and experienced cavers. Best of all: no matter what weather or season! What to see? 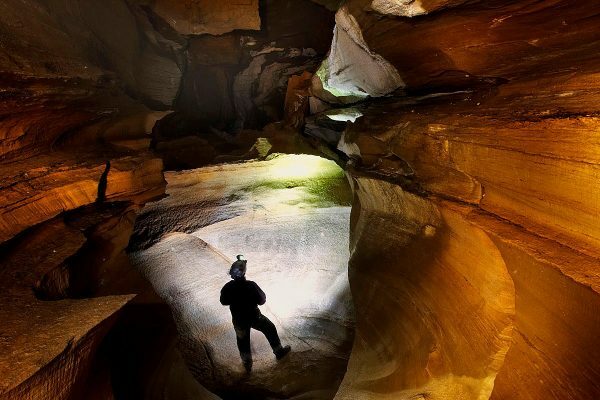 From beautiful limestone formations to deep caving systems. Nordland has underground adventures for all interests. This is The Underground Scenic Wonderland in Northern Norway! The booking was seamless and extremely well organised. The hike and the cave were great, we could chose between different levels of difficulties, as a trip of 6 boys end of 20s we went for the full fun, and our expectations were exceeded by far. Ivar was prepared for everything most professionally and he is an extremely kind and nice man who helped us to Organise other things as well. Once in a lifetime experience!! Moderate - Hard. Please see details below. 4 - 6 h from meeting point (time inside cave: up to 4 h.). Day trip from Bodo and back: approx. 6 - 8 h.
Min: 4 pers. Available for groups. Please see details below. We run this tour year-round. Winter is actually best season. Is this trip for me? Moderate to good fitness and agility is required. Involves some steady uphill walking for up to 1 hour to reach the caves. Children are welcome too, and they just love it! Grading: this trip is graded as Medium – Blue grading. The degree of difficulty and the precise route is carefully chosen to fulfill the desires and physique of the group itself. Minimum age: recommended minimum age for children is app. 10 years. Personal clothing for an outdoor trip due to the weather conditions. Day pack, drink and snacks for the day. The meeting point is by Shell gas station in Fauske. Please see map above. Transport is not included in the price. Feel free to ask if you need help to figure out how to get to Fauske. Groups up to 4 might join our car from Bodø. Public transport for a day trip might be a bit tricky. Getting to Fauske by bus or train from Bodø should be easy. Check timetable for bus Bodø – Fauske. Check timetable for train Bodø – Fauske. Typical group size for our trips range from 2 to 10 (15). We prefer to keep the group size as small as possible for these trips. That improves the experience both for you and the guide. What is the minimum number of participants? To run this tour, a minimum of four people must book. If this minimum is not met, we reserve the right to cancel the tour. You will then have the option of being rebooked on an alternative date or receiving a full refund. Larger groups can easily join this trip, then we will we divide the group into smaller groups of 8 – 10 people, each of which trip are accompanied by their own guide. Note: we will never mix a private group trip with lone travellers. Is this trip dependent on weather conditions? 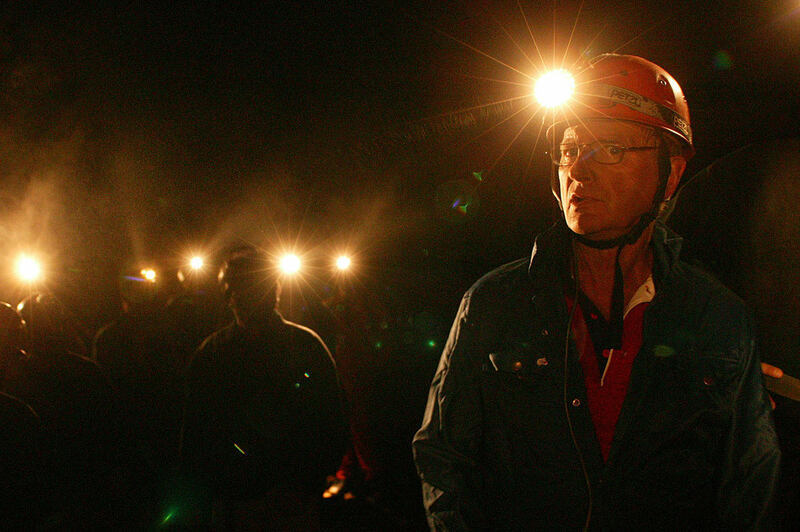 No, a caving trip, even in NorthernNorway is not dependent on the weather, that is one of the best things with caving. Caving is an all year round activity in Northern Norway. Just as perfect in winter time as summer. May be even better in winter time because Nordland has so many other great outdoor adventures in summer than going under the under the surface. Do You Dare to Try an Underworld Adventure?